A guide to unlocking heroes, completing objectives, and winning battles in Injustice 2 Mobile. 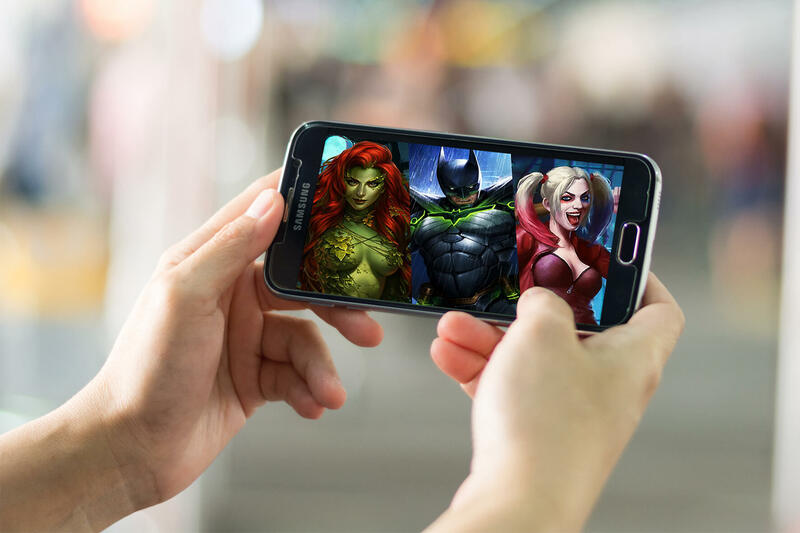 Along with May’s release of Injustice 2, a mobile version of the game has been released that has already inspired gamers to look up various tips, tricks, and cheats in order to dominate the competition. If you’re looking for a few pointers, or are simply hoping to unlock additional heroes, you’ve certainly come to the right place. Below, we’ve put together a guide containing the best tips, tricks, and cheats for Injustice 2 Mobile. While playing Injustice 2 Mobile, you'll be able to unlock new Heroes by opening up Hero Chests. 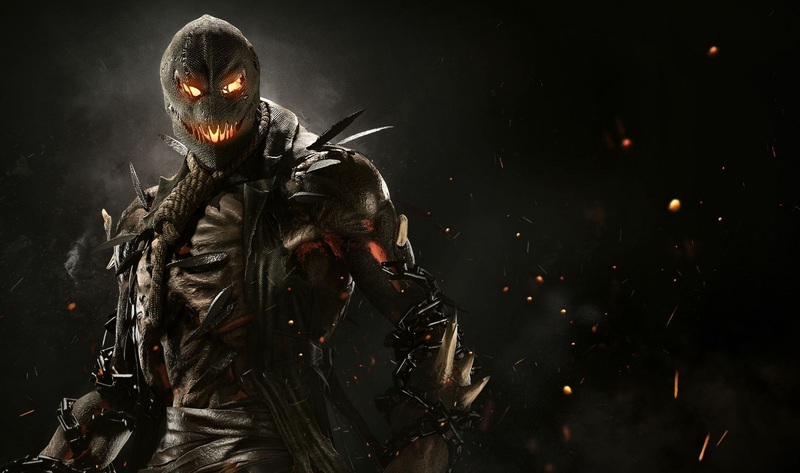 When it comes to Injustice 2, unlocking new heroes is undoubtedly one of the most important aspects of the game. In terms of Injustice 2 Mobile, this is the only area of the game where it’s actually worth it to spend your Diamonds. Upon opening a Hero Chest, you’ll unlock a randomized new hero for Injustice 2 Mobile. Our advice is to prioritize unlocking new heroes in Injustice 2 Mobile, as this will help increase the rate at which you win battles and progress through the game. 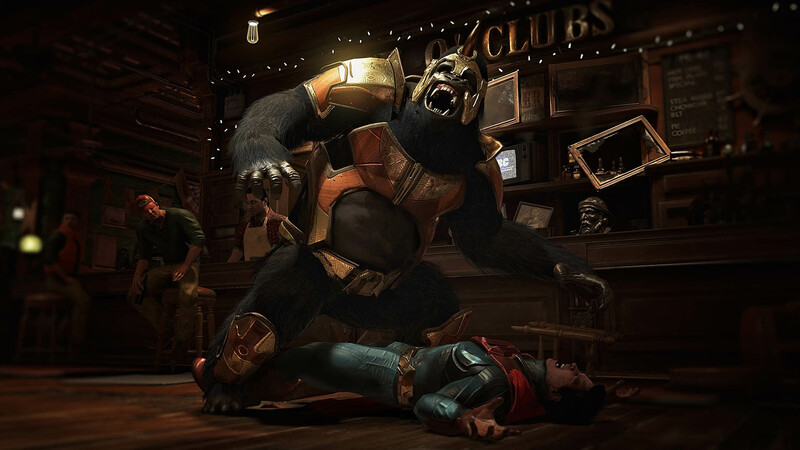 Earn more rewards in Injustice 2 Mobile by completing daily objectives. When you log into Injustice 2 Mobile each day, there are a variety of daily objectives that you can complete to earn in-game rewards. This should be one of the first things you do after logging into the game, as these daily objectives are often quick, easy, and help boost the rate in which you progress through the game. Once you’ve tackled the daily objectives, you can move on to Achievements which you’ll unlock simply by playing the game. These Achievements are crucial when it comes to unlocking the 4-star Armored Superman in Injustice 2 Mobile. Make sure you upgrade your favorite Heroes in Injustice 2 Mobile. As you play through Injustice 2 Mobile, you’ll likely find that you have a favorite set of heroes to use, and you can buoy your experience with them further by upgrading these heroes. 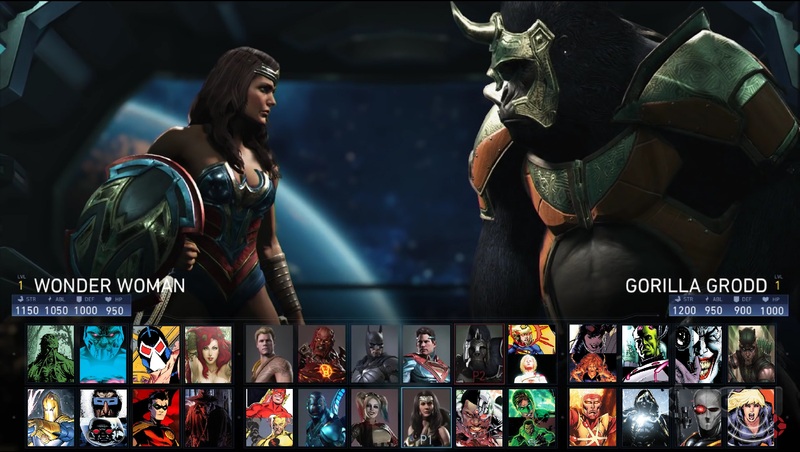 At first, you may want to play Injustice 2 Mobile with the roster of basic Heroes which includes Wonder Woman, Harley Quinn, and Batman. Once you begin to get the hang of the game, and accrue enough money and Diamonds to unlock new heroes, you’ll have a bit more variety. The more stars a Hero has, the better they are in Injustice 2 Mobile. Fortunately, if you find yourself fond of a 2-star Hero, you have the ability to upgrade them to a higher star level. Now, the actual process of accruing these Hero Shards is difficult and you’re often pressured to spend real money on them. However, they can be used to directly increase your Heroes’ star level. If you want to avoid this method, it’s best to continue to play with your favorite Heroes, and use XP Capsules whenever possible in Injustice 2 Mobile. Be sure to play it smart while purchasing new Abilities and Talents in Injustice 2 Mobile. It can be tempting to spend your Credits in the pursuit of upgrading your Heroes’ abilities, as well as unlocking new Talents. 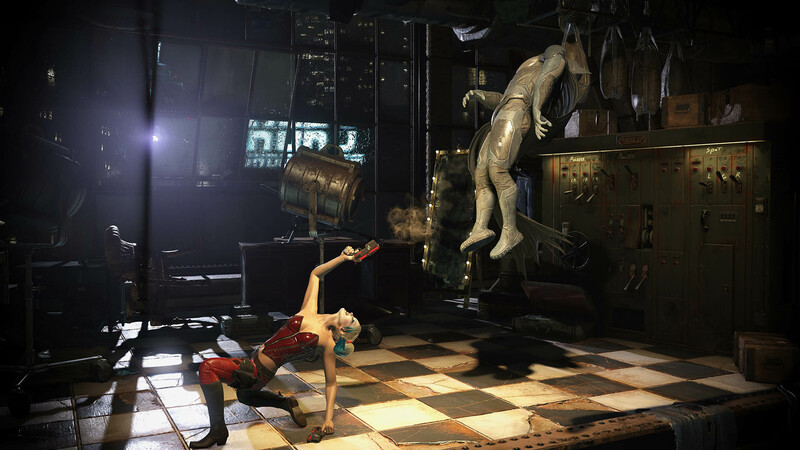 However, you may want to hold off, as Credits are hard to come by in Injustice 2, and you’ll need them once you begin unlocking new Heroes. Again, be sure to save your Credits until after you open a few Hero Chests and unlock new Heroes in Injustice 2 Mobile. You’ll want to read through the details attached to the Abilities of your Heroes, on top of testing them to see which ones are the most viable when it comes to winning matches. Then, upgrade the Abilities first prior to moving on to Talents, as you’ll end up saving additional Credits by prioritizing the Abilities of your Heroes in Injustice 2 Mobile. As an added bonus, you can pick between the two Talents after the re-roll and select the one you prefer most in Injustice 2 Mobile. Pay attention to the class advantage of your Heroes to win more battles in Injustice 2 Mobile. 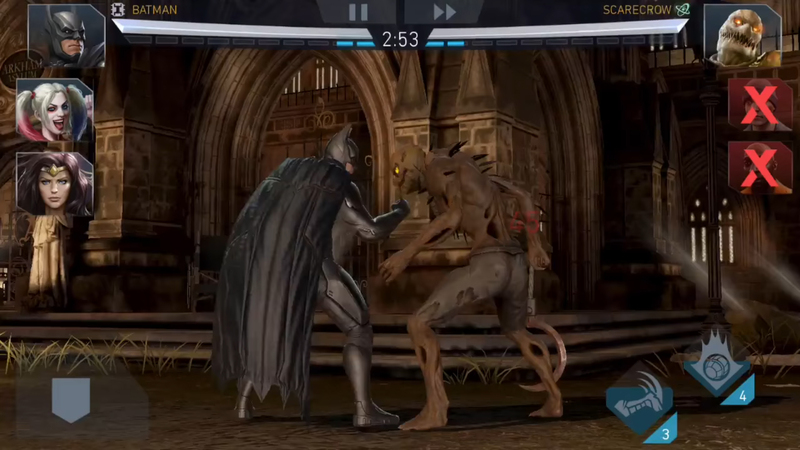 One of the most common questions we encounter in regards to Injustice 2 Mobile is how to win battles. The best advice we can give is to keep grinding at the game until you grow comfortable with your available Heroes. Keeping that in mind, there are a few tips, tricks, and cheats you can employ as well. First, you’ll want to pay attention not only to your opponents, but to your own Heroes as well. As you’re fighting, you should keep an eye out for a red bolt symbol that appears over the heads of your enemies. Once you see the red bolt, you’ll want to dodge as this signifies an attack is incoming. While watching your Heroes, a green arrow will sometimes appear. This indicates that they have a class advantage, and will therefore deal higher damage to the enemy. Essentially, try to prioritize your Heroes who have a class advantage, even if this means rotating them around a bit. The method you use to attack is pretty basic, and is comprised of swiping back, tapping to shoot, and then blocking. Note that you can swipe up to jump over projectiles, however Heroes with a higher star rating and class advantage will have the easiest time winning matches. This is why it’s so important to unlock new Heroes, and upgrade your favorite Heroes in Injustice 2 Mobile. Another tip is to use caution with your Heroes’ Special Attacks, as you’ll want to avoid wasting them prematurely. Most importantly, you’ll want to wait until your bar is completely full, as this will guarantee your Special Attack lands (the full bar indicates the attack cannot be blocked or dodged). Be sure to send your Heroes out on Operations to earn rewards in Injustice 2 Mobile. If you’re looking to increase the rate you earn Credits, money, and even premium currency, you’ll want to send the Heroes you don’t actively use out on Operations. By completing Operations, you’ll earn additional currency while simultaneously increasing the Threat level of your Heroes (giving you access to better Operations). Even if you're not playing, be sure to log into Injustice 2 Mobile each day to earn a free Hero Chest. Even if you don’t have the time to play Injustice 2 Mobile, you’ll want to make sure you log into the game each day. This is because you earn rewards for logging in on a daily basis, as well as a free Hero Chest every few hours or so. This means that even if you’re not playing, you’re still accruing Credits and unlocking new Heroes in Injustice 2 Mobile. Furthermore, if you’ve sent your Heroes out on Operations, you’ll want to log in and collect the rewards. Then, send your Heroes out on new Operations to earn even more rewards in Injustice 2 Mobile! 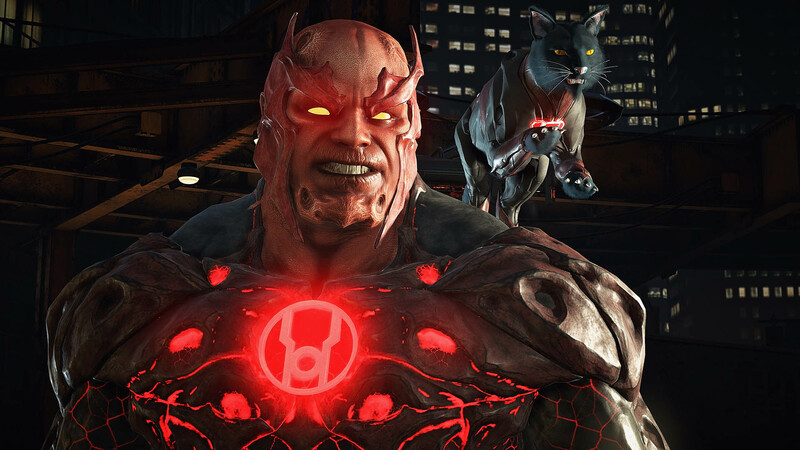 To earn additional rewards, be sure to replay Boss Battles in Injustice 2 Mobile. While the multiplayer Arena in Injustice 2 Mobile is one of the better places to earn rewards, you’ll want to level up your Heroes by replaying Boss Levels. To do this, simply select a Boss Level you previously completed, then proceed to replay and complete it again. There’s no limit to how many times you can replay a Boss Level. In doing so, you’ll help your Heroes level up by gaining experience, and you’ll also earn additional rewards. So, if you’ve run out of things to do and want to rack up a few additional experience points, definitely replay Boss Levels in Injustice 2 Mobile. What are your recommended tips for Injustice 2 Mobile? Be sure to leave them in the comments below! 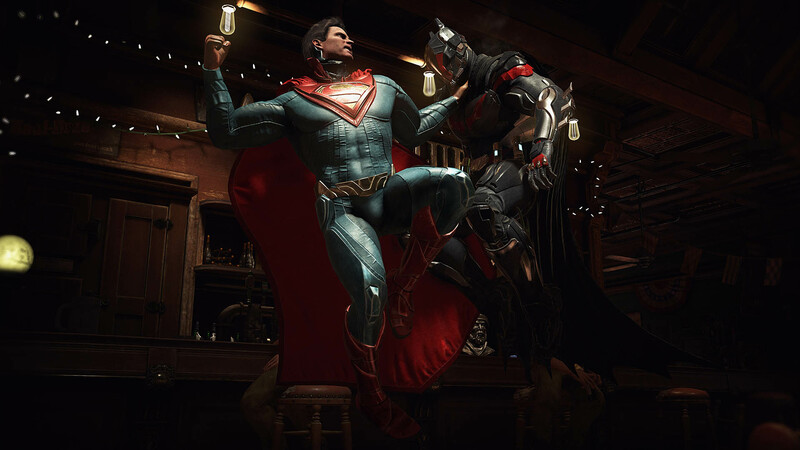 By reading through this guide, you should now know the best tips, tricks, and cheats to use while playing Injustice 2 Mobile.